Established in 1980, Southwind Drum & Bugle Corps is a member of Drum Corps International’s Open Class. For more than 35 years, we have been providing quality music education for youth in the Southeast. Our administration and professional staff are dedicated to our members and strive to provide the best music education, safe environment, and full drum corps experience possible. 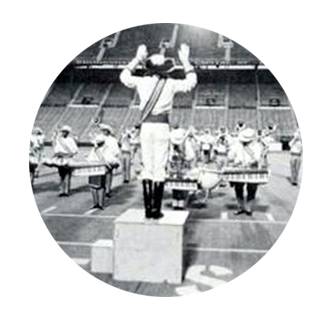 Southwind Drum & Bugle Corps has a long history in the region for providing a high-caliber drum corps activity. Southwind was originally founded in Montgomery, AL in 1980. The name Southwind comes from the train that once passed through Montgomery on its Chicago to Miami run. After a period of inactivity in the mid-80’s, Southwind returned to competition in 1989 and garnered back-to-back world champtionships in 1991 and 1992. After leaving Alabama in 1997 for Lexington, KY with Bluegrass Youth Performance Corporation, Southwind went inactive in 2007. In 2012, Southwind Alumni Association began planning for the rebirth of Southwind in Mobile, AL, and in 2014, working with Drum Corps in Alabama, the corps successfully toured as a DCI SoundSport team. In 2015, Southwind re-emerged in the Drum Corps International competitive tour as an Open Class drum and bugle corps. Southwind Drum & Bugle Corps is operated by Southwind Alumni Association (SWAA, dba Southwind Drum & Bugle Corps). SWAA is a 501 (c)(3) non-profit organization based in Mobile, AL.